Copying and pasting doesn’t do the same job always, in all the operating systems. Especially when you are transferring internal data and information rather than the normal files and folders. In the Windows OS, you would be asked to create the backup discs and then the information is stored and transferred to another PC, or into another drive in the same computer. But in the Mac OS X, there is an assistant tool that would automate the same process. The information that is transferred is user accounts, applications, network and computer settings, and files, and this transfer can be best done with the FireWire cable, and over the Wired or Wireless connections. 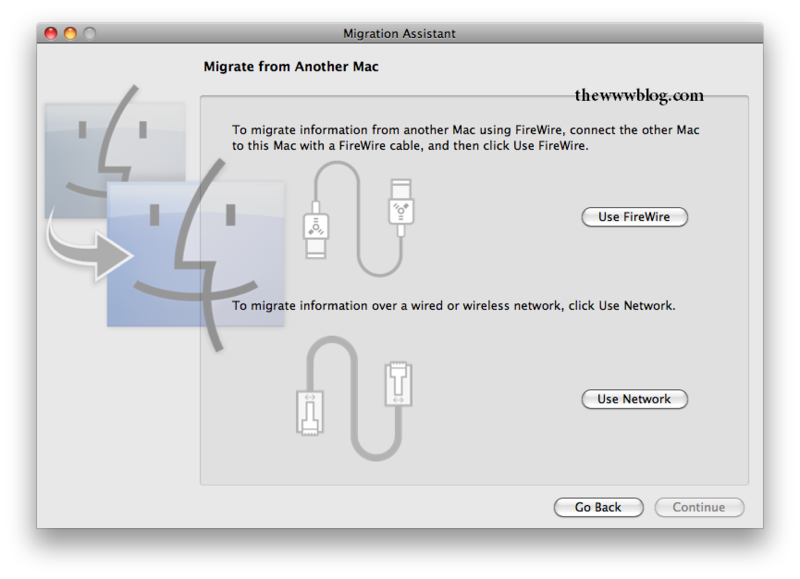 Below is a tutorial explaining how one can transfer the files and all the information from one Mac to other using the FireWire connection between them. The Mac which has the data would be called the Source Mac, while the Mac which is to receive the files and information, will be called the Target Mac. You need to make sure that the FireWire connection is active. 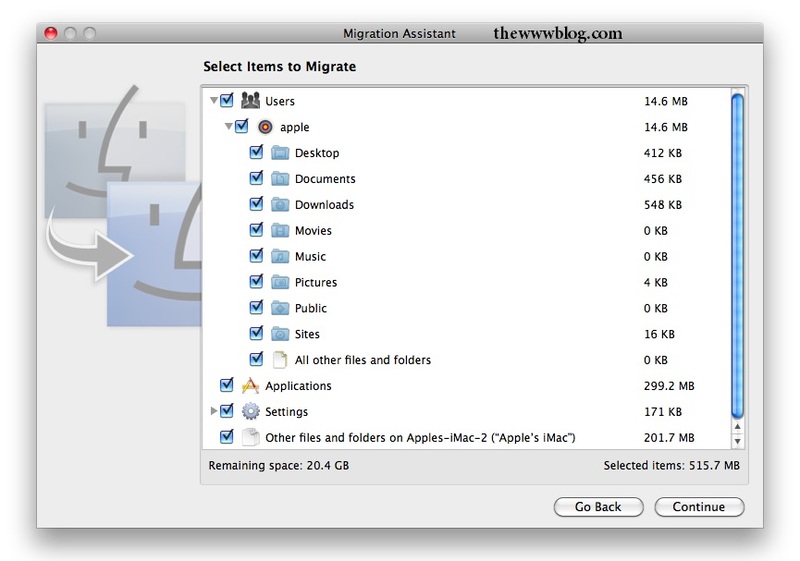 Restart the Source Mac while holding the T key, and in the Target Mac you need to open the Migration Assistant which would be located in the Applications > Utilities folder. Click on Continue when the introduction page is shown first. 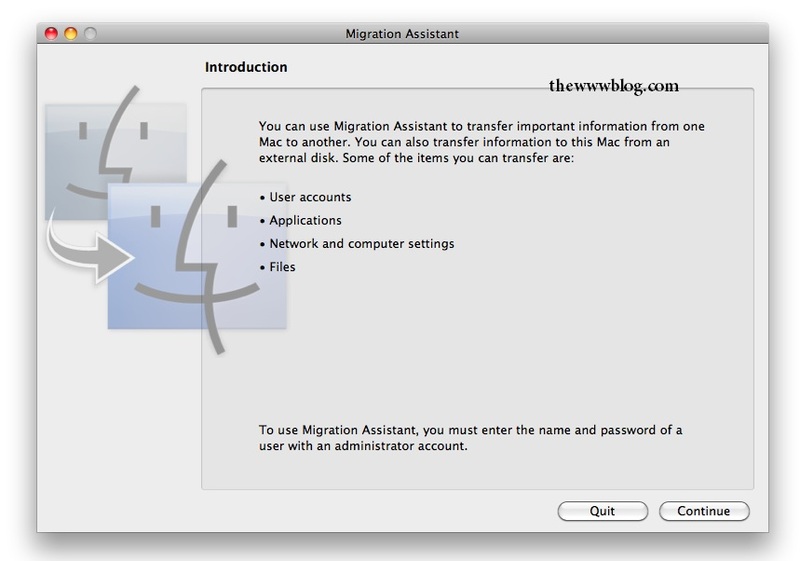 * NOTE: In the end of the post, there are a few steps and precautions which you need to take into consideration before transferring the information using the Migration Assistant. 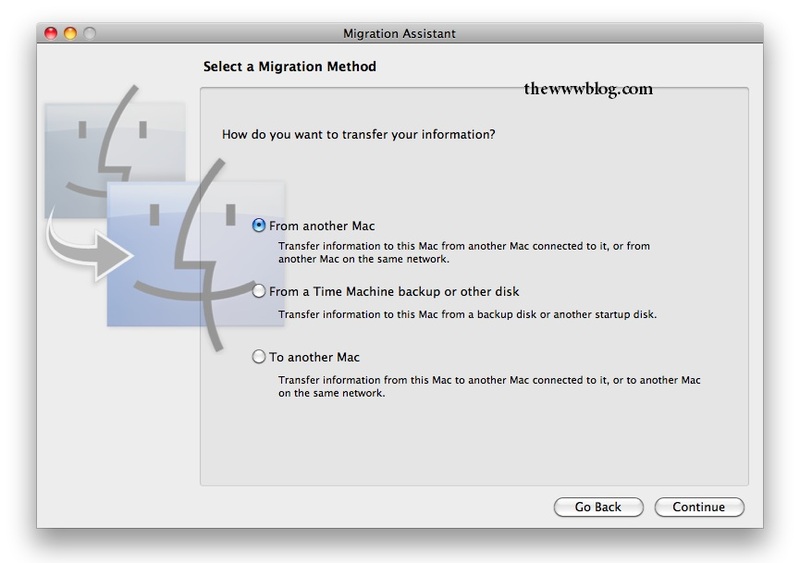 In the next step, a pop-up would appear asking you to enter the username and password of the Mac to start with the process, and upon entering that you would be taken to the next step where one of the options has to be selected, preferably “From Another Mac” in this process as you are performing this transfer in the Target Mac from the Source Mac. 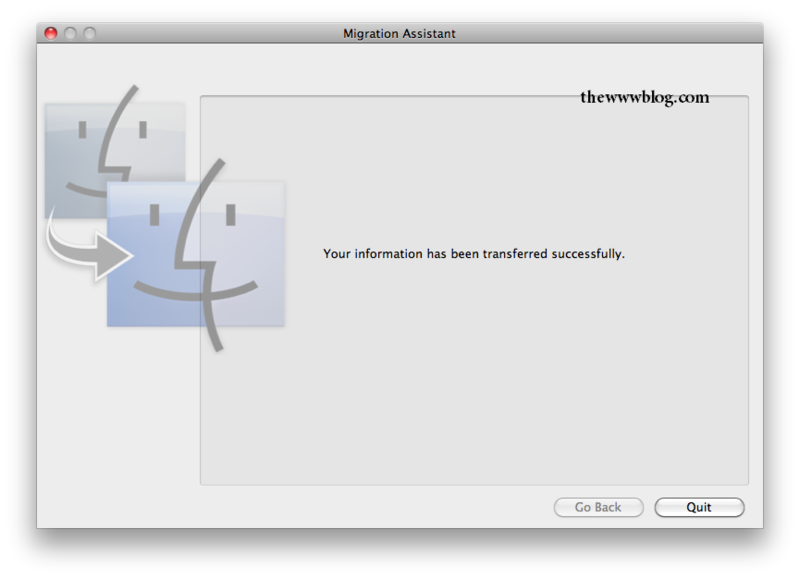 Although if you were transferring to a Mac from the source mac, the third option would be appropriate. The next step would be to select the connection. Here, as you are going to shift the files using the FireWire port, select the first option, i.e. Use FireWire. If at all you don’t have the FireWire port or want to connect the two Macs using the Wireless connection, select the option Use Network. After that, you would be asked to close all the active applications before the transfer begins. Clicking Continue will close the apps automatically, so better backup or save the internet data before continuing. Select the files on the Target Mac which you wanted from the Source Mac, and the selection can be done within the different folders by clicking on the arrow which would open the entire list of files present in a particular folder. 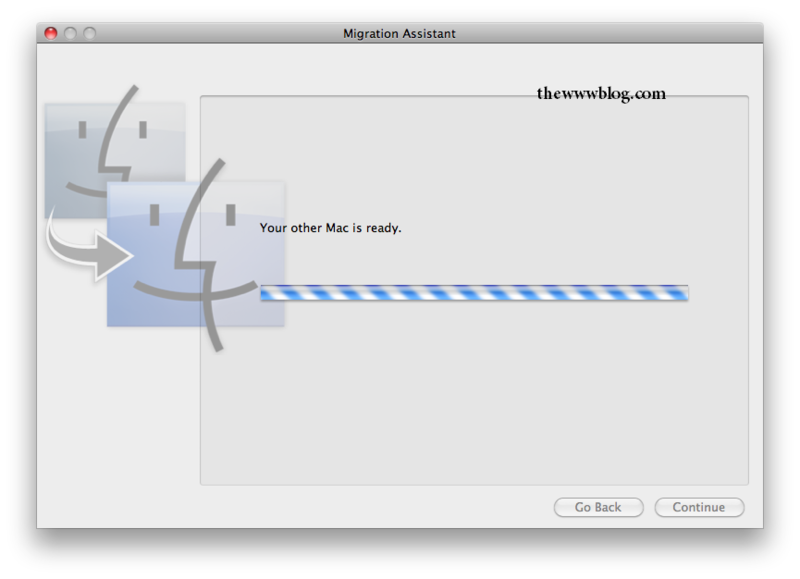 Once the above step is done, the Migration Assistant would prepare to transfer the files from the other Mac and it would prepare all the information, and then let you know that the other Mac is ready for the transfer, before the actual transfer happens. The amount of time taken depends on the amount of data that has to be transferred between the two Macs or the hard drives, and once the transfer completes, it would show you the dialog box message “Your information has been transferred successfully”. Check out the Mac Guides section if you wanted help about any of the above steps.